Students, educators & performers may always continue to search for shortcuts to improvisation, but there are none. It takes hours of dedication and disciplined practice to be able to improvise. That being said, it is not a foregone conclusion that learning to improvise couldn't be made easier with the proper guidance and resource. 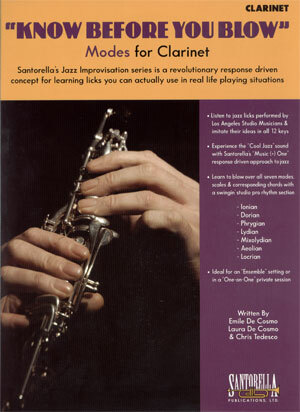 Santorella's New Jazz Improvisation series, “Know Before You Blow” is the answer! 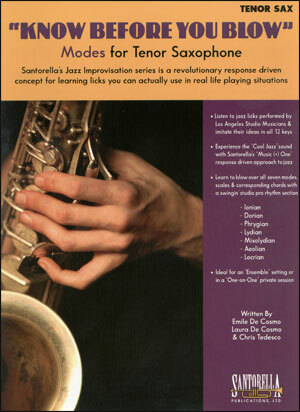 Anyone interested in improvisation spends countless hours of listening to every jazz artist that has established themselves as one of the best at their craft. Many beginning jazz players focus on musicians who play the same instrument, but it is strongly suggested to listen to every jazz great, no matter what axe is in their hands. 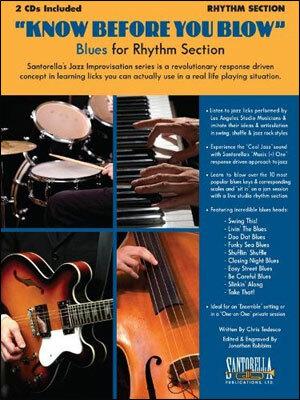 Transcribing solos or appealing jazz licks is highly recommended and also takes many hours to accomplish. Every student eventually realizes the need to reduce the amount of time spent listening & transcribing and to simply start practicing. During the big band era, the term “Woodshedding” was introduced by musicians to indicate long practice sessions in private, where they could either practice alone or in a group. But it was understood that being undisturbed, without distraction is the key. Every advancing jazz student is familiar with the term “Woodshedding” and does just that on a daily basis each & every time they close the practice room door behind them. Many great jazz players take time off from public performance or recording to practice alone and rethink their improvisational techniques. In short, disciplined practice or “Woodshedding” is a self imposed exile which every musician endures in order to reach their true potential. 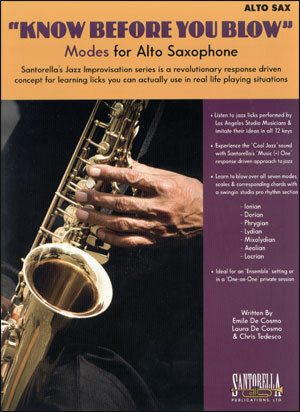 Santorella's Jazz Improvisation series, “Know Before You Blow” covers many aspects of improvisation including Blues, Jazz Modes & II-V7 Turn Around Progressions which makes that daily exile routine a truly beneficial learning experience. 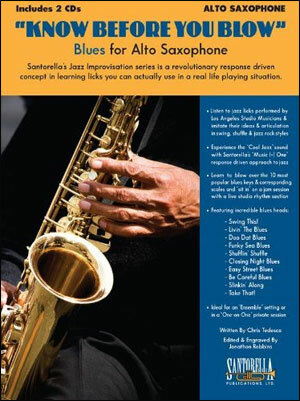 “Know Before You Blow - Jazz Modes” teaches why, when, what and how to incorporate Modes into your jazz skill set. 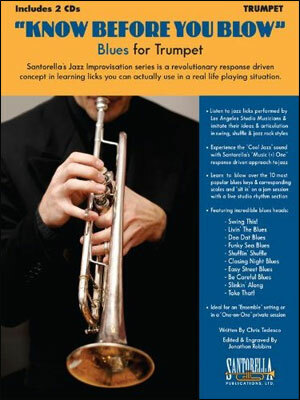 The method is simple, thanks to the authors Chris Tedesco, Laura De Cosmo & Emile De Cosmo, and with the proper guidance provided by some the finest studio musicians in Los Angeles. As stated previously, there may be no shortcuts, but through trial & error, by maintaining a disciplined practice schedule, by studying great jazz players & working with “Know Before You Blow”, there is a means to an end. 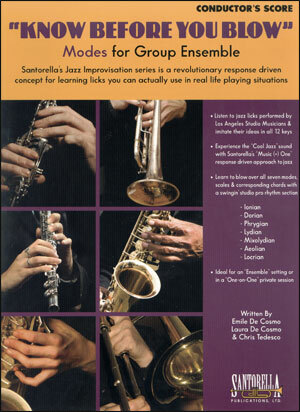 Santorella's “Know Before You Blow” series is the break-through approach to improvisation that has been missing and is now offered to all aspiring jazz musicians as an essential resource for improving their ability to improvise or simply put, play jazz. 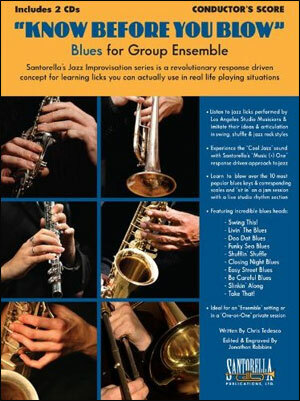 All seven modes are clearly defined, explained & notated on the text page which precedes each exercise. These text pages display a diagram of each mode & the compatible chords that “work” for that particular mode. 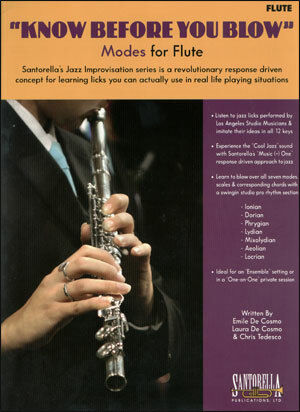 Santorella's “Know Before You Blow” is written in accommodating keys for Clarinet, Flute, Trumpet, Alto Sax, Tenor Sax, Trombone and also available in a Conductor's Edition which contains a complete score and recording of all six horns playing together. 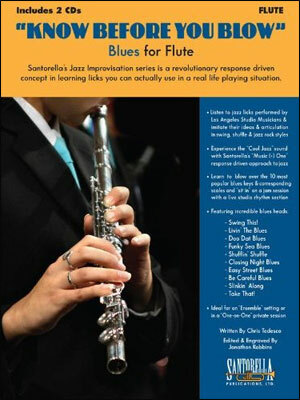 This is a phenomenal tool for every music educator for any ensemble at any level. Imagine no more guess work to determine which mode works & why or what to play & when? This “Jazz Modes” edition teaches what, why & when to use a certain mode. This is the basis or “Heart & Soul” concept of “Know Before You Blow”. 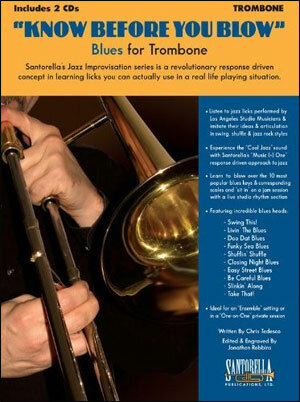 So, “Now's The Time” to break out your horn and have some fun!